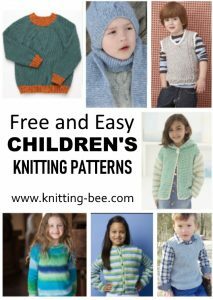 15 Free Headband Knitting Patterns - Quick Knits! 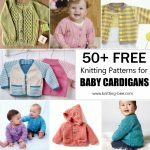 15 Free Headband Knitting Patterns – Quick Knits! 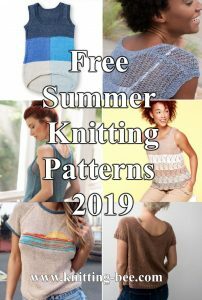 15 Free headband knitting patterns for you to choose from. 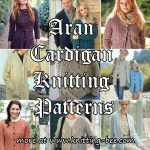 I love knitting headbands as they are quick to knit, make great accessories to my Winter and Fall wardrobe and also make cute gift knits! 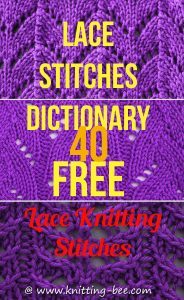 Here are some awesome free headband knitting patterns for you to enjoy! 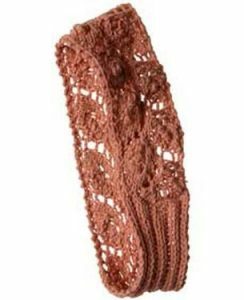 Stunning knit headband with a branch cable and lace stitch, great for intermediate knitters. 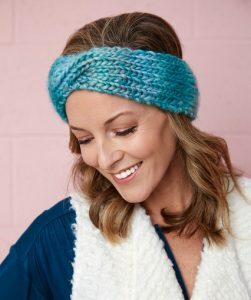 A simple knit headband, great pattern for beginners. 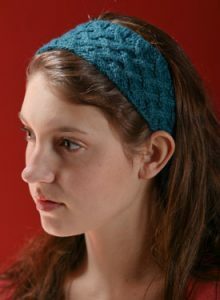 Learn to knit a simple lace pattern with Monica Russel’s easy headband. 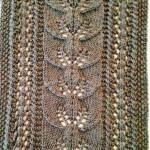 Headband is started with crocheted provisional cast on at center back. 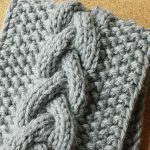 A bow-like cable is worked to hit the side of the wearer’s head off center or can be worn in the center, then the headband is knit to measure 21”. 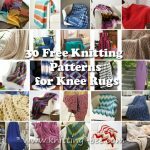 Keep warm, with a twist! 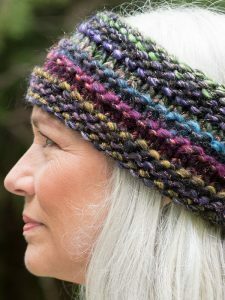 This quick headband is a great alterative to hats. 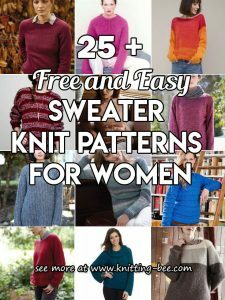 Easy knit pattern. 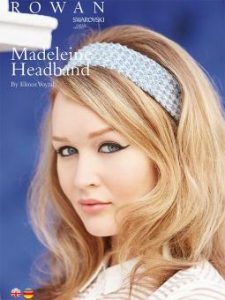 This headband by Elinor Voytal features two tone slip stitch patterns and Swarovski crystal beading. 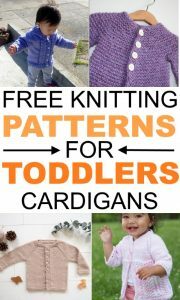 It would be suitable for the knitter with some experience. 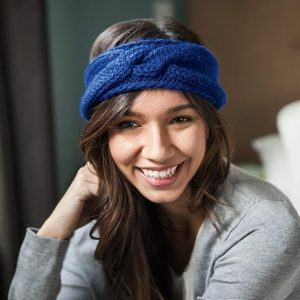 You don’t have to worry about the headband not being the right size…just place the buttons at your perfect comfort place! 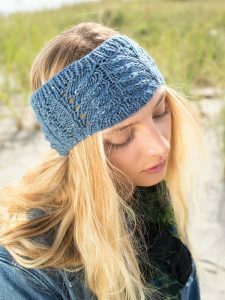 This knitted headband features a lattice cable pattern. 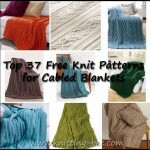 These cables create almost a woven look as stitches move over and under each other. 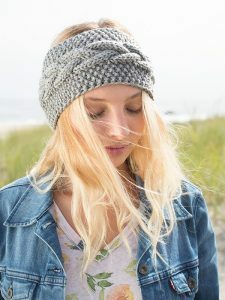 A fun hand knitted headband pattern to make an cool bulky yarn easy knit. 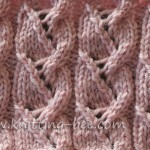 A central cable motif and seed stitch on the sides, makes for a pretty headband, very fashionable. 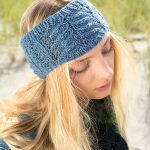 This beautiful headband was designed by Charlotte Walford and inspired by the childhood holidays she spent in the Welsh seaside town of Barmouth. 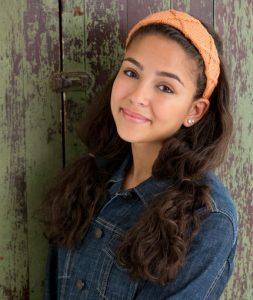 Why wear just a plain everyday headband when you can dress it up with a super cover? 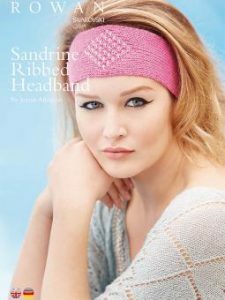 This intricately knitted band fits over an ordinary plastic headband to frame your face and accentuate your wardrobe. 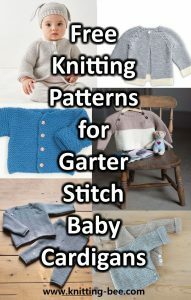 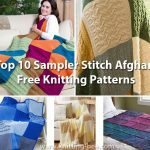 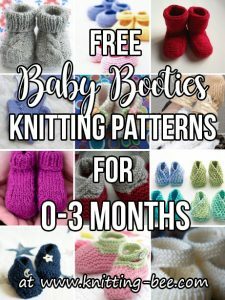 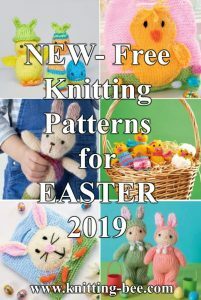 Great pattern for an intermediate knitter. 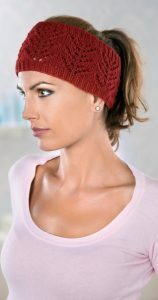 Pretty knit headband adorned with Swarovski crystals.